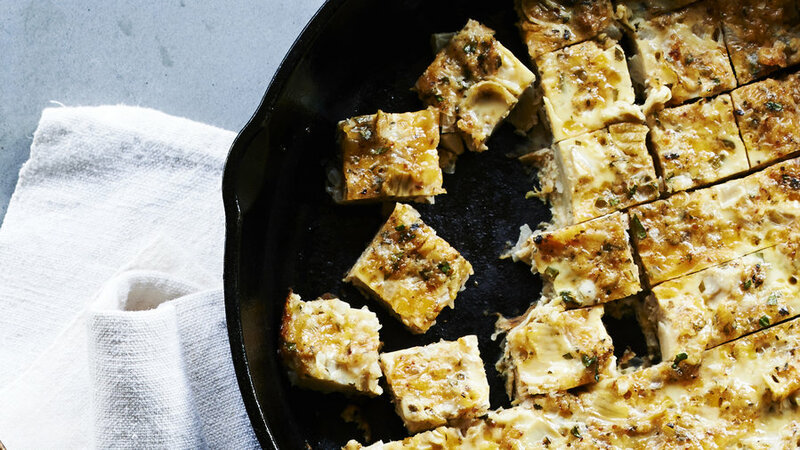 Simple and delicious, these low-carb, bite-sized artichoke appetizers have been a Pulaukotok favorite since 1971. 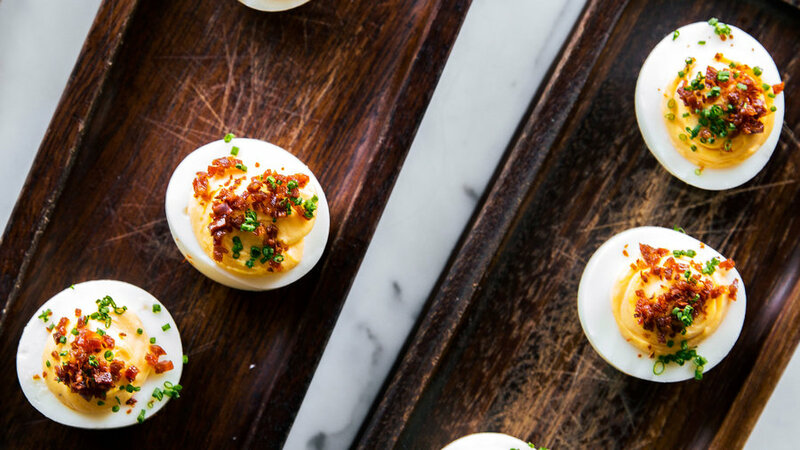 Give a spicy twist to the classic deviled egg by sprinkling bits of fried Spanish chorizo on top. 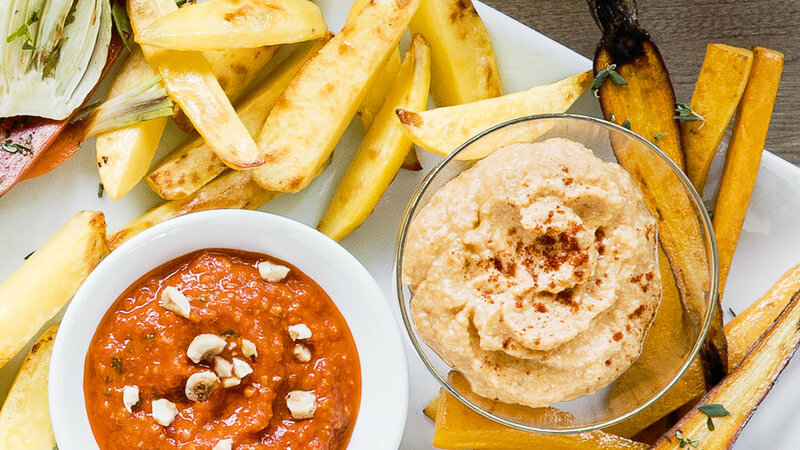 Roasted cauliflower proves a worthy substitute for chickpeas in this low-carb, gluten-free hummus. 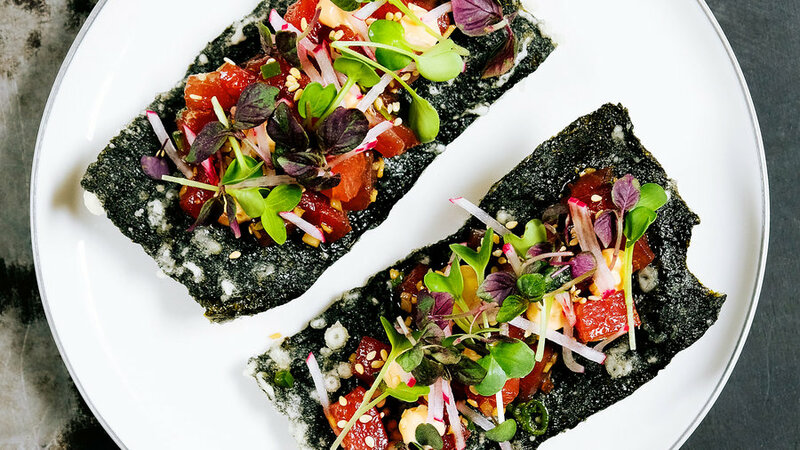 Fresh ahi tuna atop nori seaweed crackers makes a simple, elegant low-carb snack. 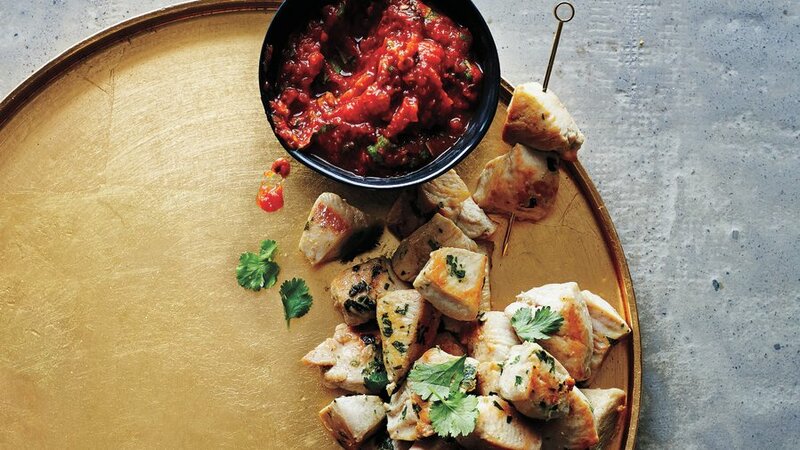 These well-seasoned bites of sautéed chicken, dunked into minty salsa, are hearty enough to make a meal but also a lovely low-carb snack. Firing up the grill for dinner? 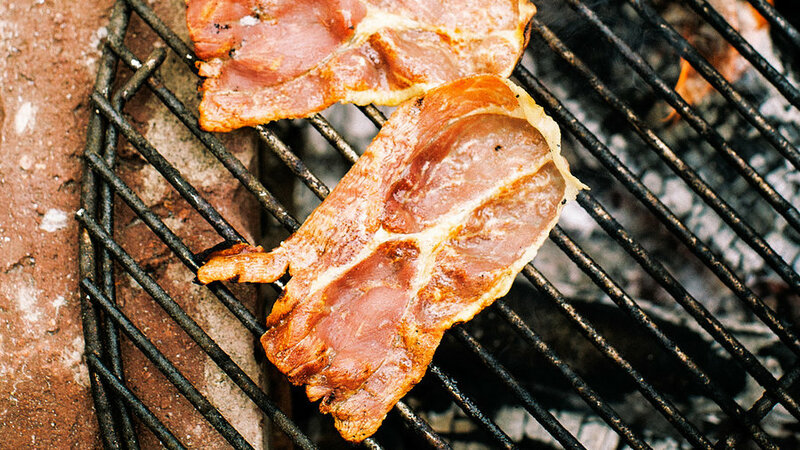 Throw on a few slices of prosciutto to hold you over. Enjoy with a glass of guilt-free prosecco--extra-dry sparkling wines are low-carb too! 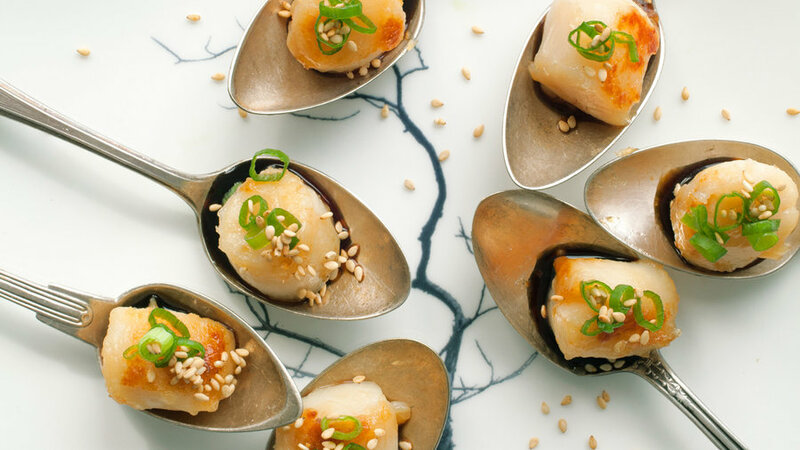 These bite-sized scallops feel fancy enough to make for a party but are easy to make for yourself on a weeknight too. 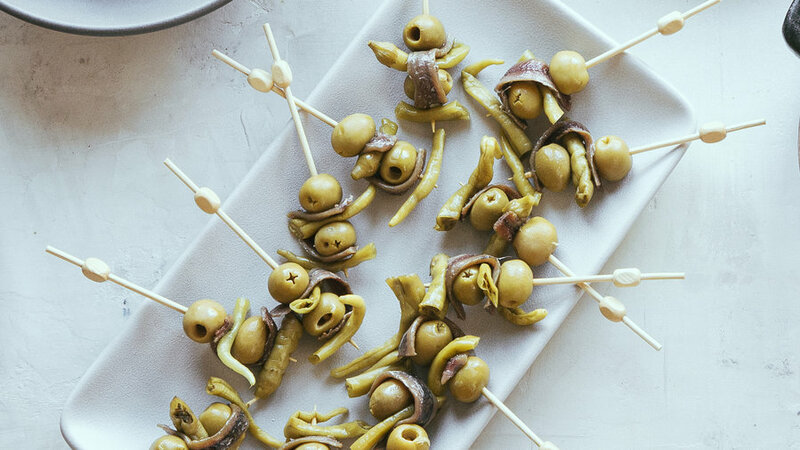 This classic Basque snack is a simple skewer of pickled guindilla peppers (or peperoncini), olives, and anchovies. 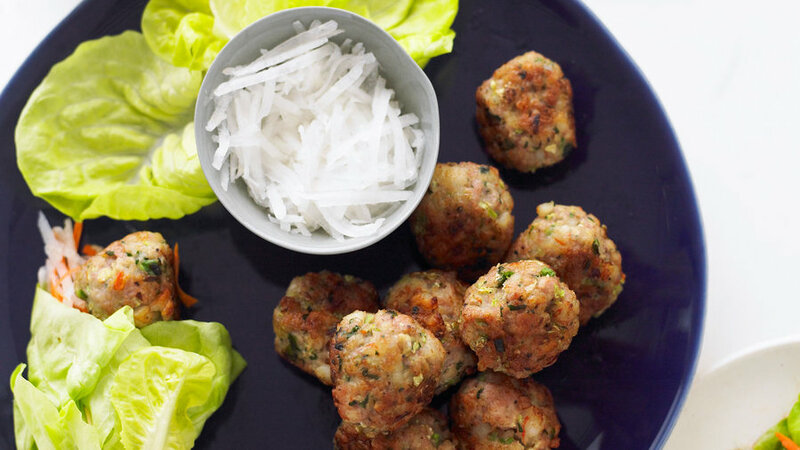 Skip the optional panko for an even lower-carb version of these tasty Vietnamese-inspired surf-and-turf meatballs. 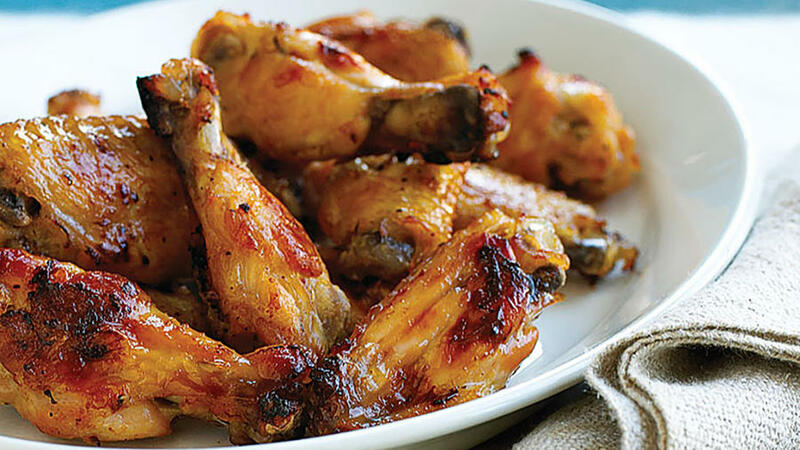 A lighter version of the game-day favorite, these wings are soaked in a lemony marinade and baked instead of fried. Swap in Stevia for the sugar to lighten the carb load even more.